What's happening, good people? You're in the mix with Mr. Chris for a SUPERFLY podcast of The Soul Brother Show - The Home of Heavy Soul and Raw Funk! It's Black History Month as well as Academy Award season and I wanted to do something that would celebrate both, so I came up with this funky concept of dropping some of the best in soul and funk music from the Blaxploitation era of the 70s! Can you dig it? I got some funky tracks from films such as The Mack, Shaft, Foxy ... See More Brown, Hell Up in Harlem, and Cleopatra Jones just to name a few! As always, sit back, relax, and enjoy these groovy tunes! 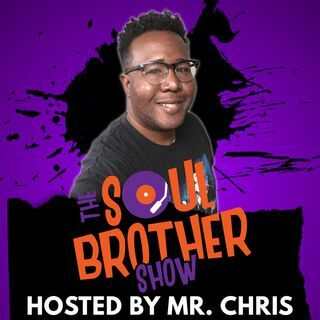 The Soul Brother Show is now available on iTunes and be sure to cop your free Android and iPhone apps so no matter where you are in the world, you will always have Soul! Special thanks to each and everyone of you who continue to show love and support for The Soul Brother Show andThe Soul Sister Show. Extra, extra props and pounds going out to my lovely and multi-talented wife Georgette a-k-a the Soul Sister for the love and inspiration! Bobby Womack - "Across 110th Street"
Gladys Knight and the Pips - "Mr. Welfare Man"
Roy Ayers - "Coffy Is the Color"
James Brown - "Down and Out in New York City"
Aretha Franklin - "Hooked On Your Love"
Willie Hutch - "Theme of the Mack"
Willie Hutch - "Theme of Foxy Brown"
Luichi DeJesus - "Friday Foster Main Title"
Pam Grier - "Long Time Woman"
Diana Ross - "Theme From Mahogany (Do You Know Where You're Going To)"
Donny Hathaway and Margie Joseph - "Come Back, Charleston Blue"
Rudy Ray Moore - "The Human Tornado"
James Brown - "The Big Payback"
Martha Reeves and the Sweet Things - "Willie D"
Michael Jackson - "You Can't Win"